Matrix is a highly responsive, effective, affordable option to ensure the continuous performance of your Asterisk & Elastix deployment. Our user-friendly Asterisk & Elastix support professionals are accessible by phone or online and our initial installation or upgrade consultation session will help ensure that your Asterisk & Elastix installation is running optimally. If you have an existing Elastix system and you need to ensure its reliability, our dedicated support team can assist you. ALL IN ONE IPPBX, No License Control. Fit for all Small & Medium Office and Enterpirses Office. 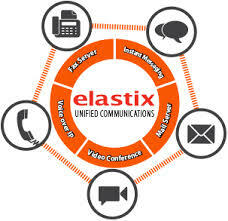 Elastix IPPBX has VOIP & traditional calling, mobility, Voice Mail, Voice Recording, IVR, Auto Attendance, Voice logging, Voice conference Bridge, Video Conference, fax server, Reporting and much much more.